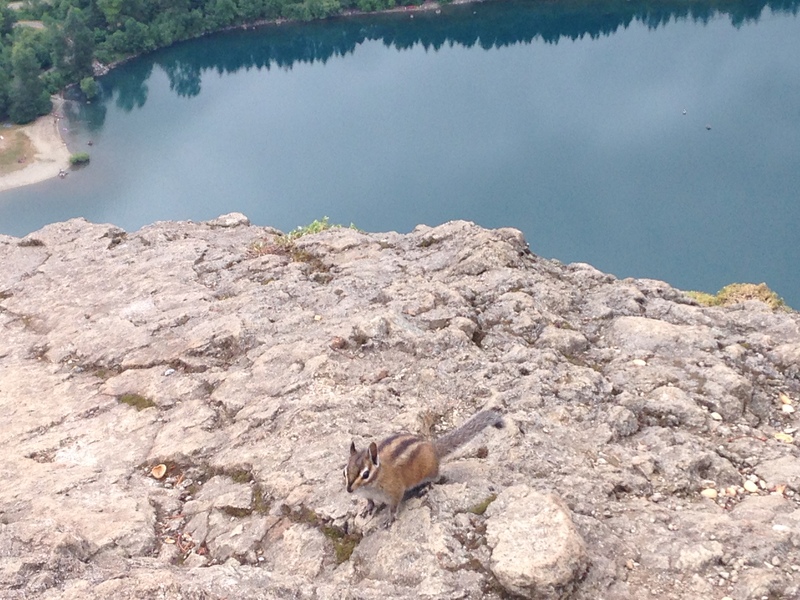 Fearless chipmunk: between people and precipice (a view from Tiger Mountain). It is so close to reality that it’s impossible to know whether the ad is parody or not. The $30 per blog post is the real kicker. We want you to be from a wealthy background, but starving enough to accept $30 for a great piece of writing, three times a week. Could you repost it there? And absolutely: that’s part of the absurdity of the boast, which is why I took it for parody – the meager fee offered for assuaging the existential angst of the wealthy.